The product does not contain any solvents and any heavy metals, and is harmless to humans and the environment. Especially for children and adolescents, provide a healthy and safe indoor environment. Gerflor's patented EvercareTM special maintenance treatment provides excellent scratch and chemical resistance (eg resistance to chemical attack, contamination, etc.). No waxing for life after installation! 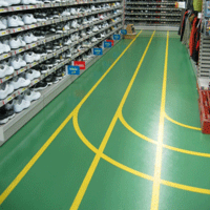 Wear and scratch resistance can greatly save the capital and labor costs of daily maintenance. The product structure is compact and dimensionally stable. The 2mm thick wear layer is resistant to abrasion and pressure and can be polished and refurbished. If you like Taraflex® Surface Design, you may also like these products.